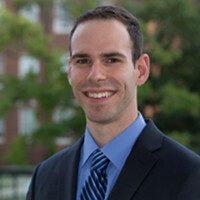 Cohort 7 was established during the 2017-2018 academic year. Scroll down to meet the members of our group. I am from Glen Ellyn, Illinois, a Western suburb of Chicago. 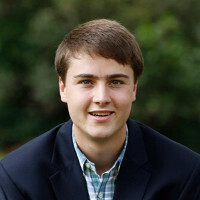 I am a Mechanical Engineering major and am hoping to enter the Aerospace industry. I am passionate about green technologies and am interested in applying this passion to innovations in a highly technical field. I am looking forward to the personal and professional leadership development the Lockheed Martin Leadership Institute can provide me. While my degree will teach me the proper analytical and technical skills required for future jobs, the Leadership Institute can provide me with interpersonal and communication skills necessary in any professional setting. "If service is below you, leadership is beyond you." I am from a small town in central Illinois called Mahomet. 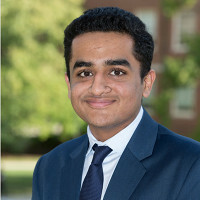 I have a major in Biomedical Engineering and a minor in Electrical Engineering, which I think will help me in the pursuit of my dream job of working to develop more advanced and useful medical devices. I am passionate about helping people however I can, and improving the quality of life for people with severe injuries, illnesses and disabilities is what I strive to do in my future career. I am involved in many things on campus. I am apart of the National Honor Fraternity Phi Sigma Pi, as well as Cru, a christian student organization in which I am a leader of an upperclassmen Bible study. 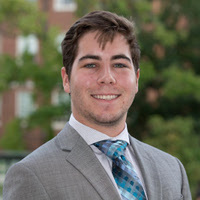 I am also involved in undergraduate research through the bioengineering department, and I also enjoy playing intramural soccer with my friends at Miami. I am very excited about being in the Leadership Institute because it offers me the chance to improve myself not only as a leader, but as a person overall. I am eager to learn more about myself and how I can improve upon the weaknesses I may have, as well as the chance to learn skills that will help me to succeed in every aspect of my life going forward. I am from Sugar Grove, Illinois, a western suburb of Chicago. 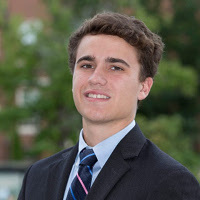 I am an Electrical Engineering major, with a strong interest in Robotics and Virtual Reality. I hope to use my major and interests to help advance these fields and make these technologies more user accessible and friendly. Currently I am researching in robotics, with the goal to create an automated UI and data collection system to be used in medical offices for pre-diagnostic information processing and collection. This technology has many applications from the medical clinic to geriatric care, giving me a chance to use my engineering skills for the betterment of individual lives. On campus I am involved in various organizations. 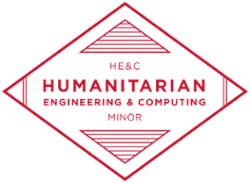 I am a member of IEEE HKN and the Miami Honors program. I am currently a brother of the professional engineering fraternity Theta Tau, in which I hold a committee position. Theta Tau is a very important part of my life and it is my job to make edits and improvements on our chapter’s website. I have also had the opportunity to represent Tau Delta chapter at our regional convention. In my spare time, I enjoy reading, playing piano, and watching movies. I am a very disciplined individual and take pride in my ability to execute and manage my responsibilities. Having the opportunity to participate in the Lockheed Martin Leadership Institute has not only honed these abilities, but has improved my self-confidence and my ability to take charge of groups. I hope to continue to grow within this respect, and continue to improve in my soft skills and knowledge of the language of business. Within the unique environment the institute offers, I hope to develop as an individual from the relationships I will form over these formative years of my life. I am from Malvern, Pennsylvania, a suburb of Philadelphia. I am majoring in Mechanical Engineering and minoring in Economics. I hope to use everything I have learned from my education in these areas to one day work on the design side of making cars, planes, and helicopters. In addition to the classes I take to learn about mechanical engineering and economics, the Lockheed Martin Leadership Institute provides me with the opportunity to enhance my leadership skills unlike ordinary classes can. Additionally, the class provides me with the opportunity to grow with my fellow cohort members, creating an environment that allows all of us to grow together. At Miami, I am involved in many different clubs and extracurricular activities including founding the Miami University Curling Club. Through founding the Curling Club here at Miami, I have been able to improve my leadership skills while teaching people how to curl and bring one of my favorite hobbies to Oxford. 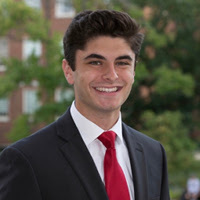 Some of the other extracurricular activities that I am involved in on campus include Cru, Beta Theta Pi, and the Miami University Ultimate Frisbee team. I am from Croton, Ohio, about half an hour northeast of Columbus. I’m majoring in Computer Science with a minor in Humanitarian Engineering and Computing. 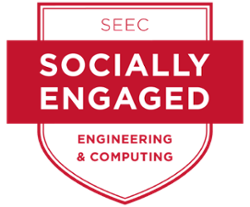 Within the College of Engineering I am also a part of the Electronics and Computing Service Scholars Cohort II. With my major and minor, I hope to go into some sort of humanitarian work where I can help to improve the lives of all those that I meet, as well as those that I have not met. I am always looking to challenge myself in all aspects of my life and always do my best to finish a task and do it correctly. On campus, I am extremely involved in several organizations. I am a member of Scholar Leaders and Kode2Learn. I am a brother of Phi Mu Alpha Sinfonia as well as Alpha Phi Omega National Service Fraternity. One is a music based social fraternity, the other is a community service fraternity that does work in and around Oxford as well as work on a national level. 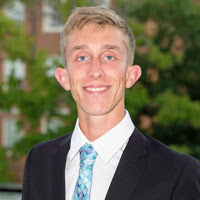 In Phi Mu Alpha Sinfonia, I am currently the Assistant Fraternal Education Officer, who is in charge of membership education as well as helping probationary members through the process. I am also a member of the marching band and the glee club. In my free time I love spending time with friends, listening to music, rock climbing and just being outside in nature. I am a very determined and disciplined worker and will always do my best on projects and work, which I believe stems from all the work I put into earning my Eagle Scout award. While these are valuable traits, I recognize that there is more to leadership and am constantly working towards making my weaknesses to be more of strengths. I believe that through the Leadership Institute I will be able to achieve this, and am awaiting all the valuable lessons that are to come from it. As a student hailing from a small town in rural Ohio called New Philadelphia, I was immediately blown away by the large number of opportunities that quickly became available to me once I started class at Miami. I absolutely love my hometown, however it is really refreshing to be involved in a scholarly community of like-minded peers. 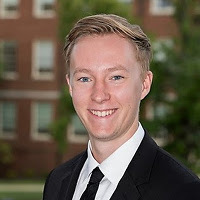 While in the process of pursuing my double major in Manufacturing Engineering and Business Economics, I began to reach out and explore how I could develop the skills that do not necessarily show up on an academic transcript. This is when I first became interested in the Lockheed Martin Leadership Institute. My older brother was already involved with the Institute and I was able to hear how he had developed many of the same soft skills that I also had been focusing on. After I completed a rigorous application process, I happily accepted a position in the Institute. Outside of the Institute and the classroom, I am heavily involved in the Miami Navigators. Involvement in this Christian campus ministry has granted me numerous leadership and personal development opportunities, such as leading Bible studies and serving as a peer mentor to first-year students. I have really enjoyed my time at Miami thus far and I look forward to continuing my personal development in and out of the classroom. I am from Mentor, Ohio, a suburb of Cleveland that is just about 30 minutes east of the city. Ever since I can remember, I was always fascinated with cars, planes, and spaceships. It was only right that I followed my passion and became a Mechanical Engineer. I love seeing how everything fits together and works in unison to make sure the system runs smoothly. On campus, I participate in LSAMP as well as the Lockheed Martin Leadership Institute. When I am not spending hours at King Library, I can be found listening to or making music. I find music to be very eye opening and entertaining. There is so much that can be done with words and an instrumental that just captures my attention. I am an honest and hardworking individual who can initiate action and motivate others. I am also able to work very well with teams. These are essential to being a leader and this is why I saw myself as a great fit for the Lockheed Martin Leadership Institute. This program allows me to further develop my skills as a leader in order to allow me to get one step ahead after college. We learn about topics and strategies that many will never learn in the traditional classroom setting. "Leadership is an action, not a position that shows the way of doing what is right and not what is easy"
I am from Mumbai, India. I’m a mechanical engineering major aspiring to fortify my engineering knowledge and become a global leader to be an example for the world. Since my childhood days I have been performing experiments and designing a lot of different things including motor boats, cars, and electromagnets. This led me pursue a degree in mechanical engineering, which I believe will help me understand the way machines work and how they can be researched and developed. Classes help build up my academic knowledge, but the Lockheed Martin Leadership Institute helps me build myself as a person. I am a very organized and motivated person but working with my fellow cohort members I plan to learn personal, people and strategic leadership qualities which– along with my real-world skills– will help me become something more than a leader. Apart from academics, I work with The Miami Student newspaper as an Assistant Photo Editor. Working with the entire team to bring out the best of the newspaper every week is truly an amazing feeling. I help recruit members, brainstorm ideas and coordinate workflow while working with the Photo Editor. 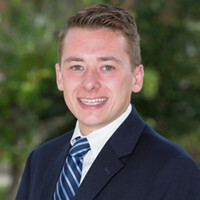 Additionally, I am involved on campus as a Resident Assistant for the Office of Residence Life which allows me to advise undergraduate students, develop and conduct programs to make the collegiate life enjoyable, and maintain the law and order around the residence hall. 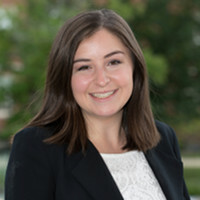 I am an electrical engineering major from Strongsville, Ohio, which is a suburb of Cleveland. From a young age, I have always been interested in how things worked, but I had no idea what I wanted to major in until my mom suggested engineering. I decided to try it out and joined the Renewable Energy Club soon after. The club focused on hands-on building of energy efficient devices. I instantly enjoyed it, and at that point, I knew that I had picked the right major. Aside from Renewable Energy Club, I am also involved in the professional engineering fraternity, Theta Tau, and Kappa Delta sorority. Through these organizations, I am able to get involved in service and build bonds with engineers in Theta Tau and many different majors in Kappa Delta to better learn how to get along with different types of people. I consider being accepted into the Leadership Institute a great honor. It is a very prestigious opportunity that will help me grow as an individual, and teach me to become a better leader. 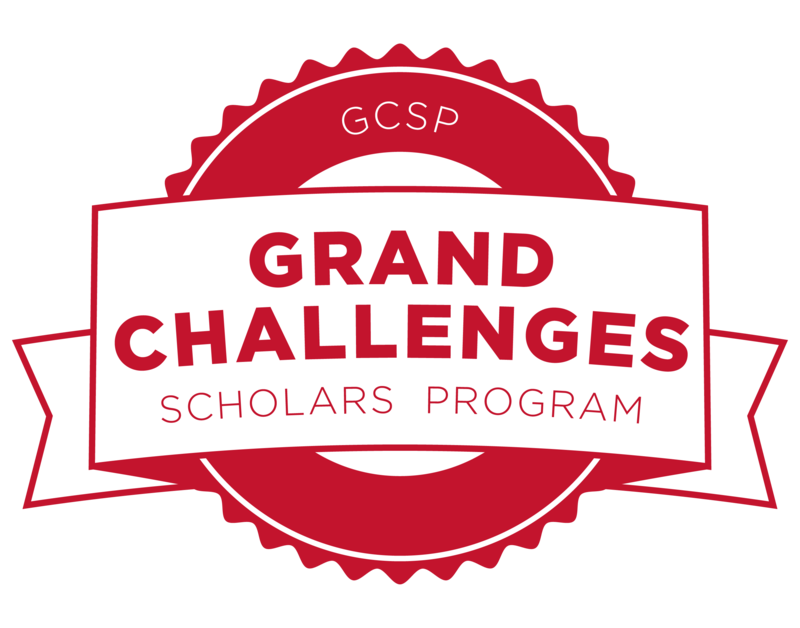 The cohort focuses on soft skills that engineering classes to not give, which will better prepare me for my career after college. These skills will differentiate me from the competitive industry. I am very excited to be a part of the Leadership Institute, and I cannot wait to see how much I grow. I am an international student from Seoul, South Korea, and lived there for most of my life. I also lived in Hong Kong for two years. My major is Computer Science and I also have a minor in Business Analytics. Life at Miami has been very nice so far. I have made a lot of friends friends from various countries and have been very involved in campus. 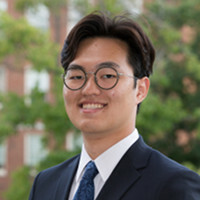 I am currently the international advisor chair of Korean American Student Association and an active member of the Asian American Association. I also participate in the intramural soccer league. During my university application process, initially I wanted to apply to the Farmer School of Business. However, I did not want to give up the endless opportunities computer science provides. I actually discussed this concern with the international advisor at Miami University, and she was the one who first introduced me to the Lockheed Martin Leadership Program. Ever since I heard about this program, getting into the leadership program was my first year goal. This program is the solution to the concern that I had during my application process. Gaining knowledge of computer science and leadership both at the same time in one school is definitely a privilege that I intend to capitalize upon. As previously mentioned, I have equal interest in the field of computer science and business. A typical computer science major student would dream of becoming a successful programmer and making intelligent software designs. However, for a person like myself, that is of of little interest to me. Programming is very interesting and I enjoy my time doing programming assignments. Despite this, I cannot imagine my future, sitting in front of the computer all day long making programs that customers demand me to do. I am a person who likes to move around different places and communicate with different people. Computer Science is a field of applied science that can be used way more than simply programming. My plan is to apply the broad knowledge I have accumulated in my computer science classes to big data and become a successful data analyst. "The eyes are useless when the mind is blind; your mind will get stronger when it is open to what it doesn't know." 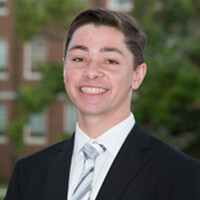 I am currently a sophomore at Miami and I am from Olmsted Falls, Ohio, a suburb of Cleveland. I have always had an attraction toward just about anything that moves, which quickly transitioned into an interest in the world of motorsports, cars, and the technology used to continually improve them, and basically the world of engineering. As I was more exposed to the field, I knew that mechanical engineering was what I wanted to study, as I have had a passion for math and science all throughout my academic career. What I feel is an integral part of being a good engineer is not only being an intelligent, problem solving oriented individual, but also being socially aware and being able to have the capability to lead. I have always loved athletics, and in high school, I played soccer and was the captain of the varsity team. This was my first role where I was able to apply some leadership skills that I possess. As I transitioned from high school into my college career, I was eager to find new challenges and to find where else I could apply my leadership skills, and how to use them more in a professional setting rather than an athletic one. The Lockheed Martin Leadership Institute has given me that option, so that I can further develop my professional leadership skills while helping others do the same. I am from from just outside of Toledo, Ohio, the major population hub of northwest Ohio. 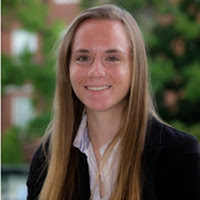 With a major in Chemical Engineering and a co-major in Energy, I’m looking to pursue opportunities in fields ranging from materials engineering to energy management and energy engineering. From a young age, I was always entranced by the concept of energy and the ways in which we harness it. This, coupled with a love for ideation, creativity, and creation, lead me into an education within Engineering. To this day, I continue that passion for the engineering sciences. On campus, I’m a Founding Father of Beta Theta Pi, a social fraternity founded on Miami’s campus. Additionally, I’m a part of the Scholar Leader community dedicated to leadership development and community service. Other involvement includes MUSA, the on campus student volunteer Ambassadors, and intramural soccer. Within engineering disciples, I am on the executive board of the Renewable Energy Club, a member of the Miami Chapter of Engineers Without Borders, and work with the Lockheed Martin Leadership Institute. Of the above commitments, Lockheed remains one of my greatest excitements on a day to day basis. Aside from the journey into transformative leadership that I’ll undergo over the next 3 years, the people involved are fantastic. Lockheed offers development in ways that traditional education doesn’t; through the development of soft skills and professional leadership I hope to grow with this opportunity to develop personally and with regard to the working world as well. Born and raised in a suburb of Cleveland Ohio, I received my first deep exposure to technology because of my dad. I started working for his IT support company in sophomore year of high school. Ever since, I’ve been hooked. 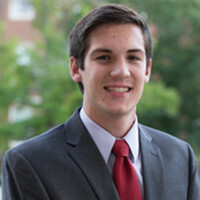 I am now a computer science major and interactive media studies co-major at Miami University. Through my classes, I’ve expanded on my knowledge and learned a lot about both the technical and the design aspects of programming. In addition to learning how to interact with a computer, I also want to be able to interact with other people. I’ve learned a lot about leadership through the Leadership Institute. I joined with the intention of challenging myself as a person and so far, I have been challenged. Furthermore, the Institute has surrounded me with high-achieving individuals who have the same visions and mindset that I do. 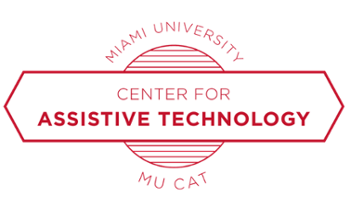 In addition to the Institute, I am involved in Miami’s student-run newspaper, The Miami Student. I write an article every other week, but my primary role is as our web designer. Through this experience, I’ve really learned about the importance of getting things done right away. When you have a website that thousands of people visit every day, you have to make sure that things are updated and that no issues are occurring. Knowing the value of this skill now as well as continuing to develop various skills is important and something that I hope to continue doing throughout my life. I am from Liberty Township, Ohio, about 45 minutes north of Cincinnati. I am majoring in Computer Engineering and Engineering Physics, along with a minor in Spanish. I decided to study engineering after going to an engineering camp at the University of Cincinnati when I was a junior in high school. After graduating, I plan on pursuing a career in the development of new technology, hopefully in the field of quantum computing. I am involved in quite a few organizations, including the Miami Association of Filmmakers and Independent Artists, Students for Life, and the swing dancing club. The most important organization for my future career, however, is definitely the Lockheed Martin Leadership Institute. In the Lockheed Martin Leadership Institute, I am taught the leadership skills, networking skills, and "soft skills" that are necessary for an engineer to know to thrive in their career. Some of the ways that I have given back to my Miami community are through theater and research. In the fall of 2016, I helped with the tech crew for Miami's performance of Rosencrantz and Guildenstern. Throughout the 16-17 school year, I assisted a physics professor with spectroscopy research. Another experience I've had through Miami which has helped shape who I am as a leader is studying abroad. During the fall of 2017, I studied abroad at the University of Glasgow. Studying abroad has helped me to grow in my communication skills since I needed to keep in contact with those back at Miami. It has also given me a multicultural perspective, which is important in today's global society. I was born in Los Alamos, New Mexico and moved to Pepper Pike, Ohio, a suburb 30 minutes East of Cleveland, when I was 12 years old. I am currently pursuing a major in Engineering management, with a specialty in mechanical and manufacturing engineering, with plans to acquire a dual major in computer engineering. With these majors, I plan to venture into the automation industry and work to build machines that will help to increase factories' productivity and efficiency. I’m a very self-motivated person who enjoys challenging myself to become more knowledgeable and overall a more well-rounded individual. As a result, I joined the Lockheed Martin Leadership Institute to develop my leadership skills to become a figurehead of the engineering community once I start my career. With the knowledge I gain from my courses at Miami combined with the knowledge and ability to navigate the real world acquired through the Leadership Institute, I believe that I can excel to the top and have the best possible start to my career. 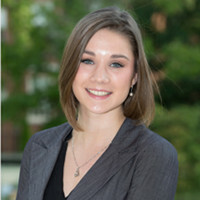 I am originally from the small town of Durham, Connecticut but I moved to the Cincinnati area in 2012, just before my freshman year of high school. I attended Ursuline Academy, an all girl’s high school where I was able to develop my voice and define my values. 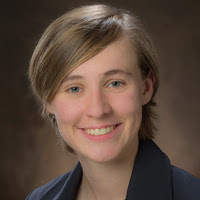 I am following in my mom’s footsteps as a mechanical engineering major because I believe that being an engineer is the best way I can make a positive impact on the world. I hope to study abroad over J-Term because I am fascinated with other cultures and I want to experience the world. I am so excited to be a member Cohort 7 in the Lockheed Martin Leadership Institute and I hope to gain professional skills that cannot be learned through regular coursework. I am excited to learn more about my personal leadership style and I look forward to seeing my transformation over the next three years. My interest in computers started when I was around 12 years old. I started my journey with HTML, a markup language. I really loved creating stuff, and even being able to do something useful with little knowledge I had was more than enough to make me choose computers and programming as a future for myself. Since then I have moved to more complex and powerful languages where I'm actually able to make applications that people could benefit from. However, in high school, I realized that there were not enough opportunities for me to improve myself in my home country. So in order to develop both my language and leadership skills, I came to United States as an exchange student. 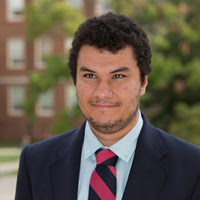 Upon seeing that education system is better than my own country's education system, I decided to pursue my Bachelor degree in United States, which is what caused me to be here in Miami University. I love reading books and working on my personal projects. Personally, I don't like calling reading as "a hobby" as I make sure I take necessary amount of time out of my day to read. I strive to choose my personal projects in a way that will both allow me to improve myself while working on it as well as challenge me enough to make me improve myself. 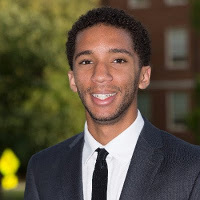 Born and raised in Cincinnati, OH, I am an electrical engineer major who hopes to be able to put the knowledge I gain from studying such a discipline to assist others in some form or another. I am someone who enjoys living for others, often finding myself putting outside desires and needs ahead of my own. Therefore, entering a field in which I am able to readily assist others would be incredibly fulfilling to me. 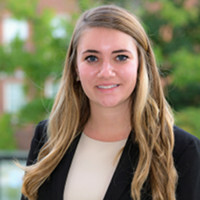 I am a member of the Lockheed Martin Leadership Institute at Miami University, an institute that puts students through a rigorous course so that they may develop their leadership skills and make the transformation from student to career professional. 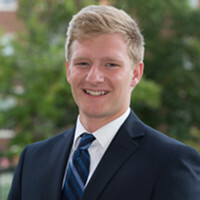 My name is Andy Swanson, and I am a sophomore here at Miami University pursuing a double major in mechanical and manufacturing engineering. I am originally from Leawood, Kansas which is a suburb about twenty minutes outside of Kansas City. I decided to study engineering because I have always had a keen interest in how the things around me work and affect daily life. These interests are the reason I decided to come to Miami because I knew I would be allowed to explore and grow them here. On campus I am involved in the Lockheed Martin Leadership Institute as well as a social fraternity. My fraternity gives me the opportunity to network with other students and participate in unique community service projects. The Lockheed Martin Leadership Institute is a rigorous three-year program designed to assist engineers in developing leadership, teamwork, and professional business skills. I am excited to be in the Institute because it will allow me to develop skills that will make me an asset as an engineer. In the future, I hope to work in the either the automotive industry, defense industry, or aerospace industry as an additive manufacturing engineer. The reason I want to work in additive manufacturing is because I have always enjoyed three-dimensional printing and making things that will improve daily life. Miami and all it has to offer will definitely help me achieve my future ambitions and goals. I am from Mt. Lebanon, Pennsylvania, which is a suburb outside of Pittsburgh. I am majoring in Engineering Management with a Manufacturing concentration. Since a young age I've been interested in how things work and how to improve them. Joining the Leadership Institute has introduced me to a wide network of some of the brightest engineers around the world. I am excited for the opportunities and growth that comes with the program. I hope to highlight my weaknesses and work to improve them alongside my fellow cohort members. My strong communication skills combined with my desire to win, make me an asset for any company. I am looking to put my skills to use and gain work experience. 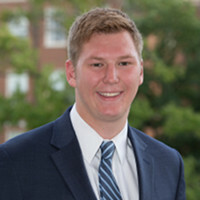 At Miami University I am working on improving my skills through my involvement in The Lockheed Martin Leadership Institute, Armstrong Student Center Board, and the Sigma Pi Fraternity. These organizations provide opportunities to grow and improve as a person. I have lived in Bellbrook in Dayton, OH my entire life. I am currently studying as a computer engineering major but I have interests in entrepreneurship and humanitarian areas as well. I'm hoping that I can work for a large computer manufacturing company until I've made enough connections and gained enough experience that I can step out on my own and start my own company. I haven't decided what kind of company I hope to start but the prospect of being my own boss and the challenge of starting something big intrigues me. Outside of Lockheed, I am a brother in Alpha Sigma Phi fraternity. I don’t currently hold a leadership position yet but I have been very involved in philanthropy through Alpha Sig and other greek organizations. I hope to hold some sort of a position in the coming years. I participated in ACROPOLIS which is the a greek focused leadership weekend, and it has helped me along my leadership journey. I'm very excited to be in the Lockheed Martin Leadership Institute because it will help me develop the knowledge and skills I will need to become a leader in any organization or company I'm a part of in the future and will give me the set of skills I need to complete my life goals.